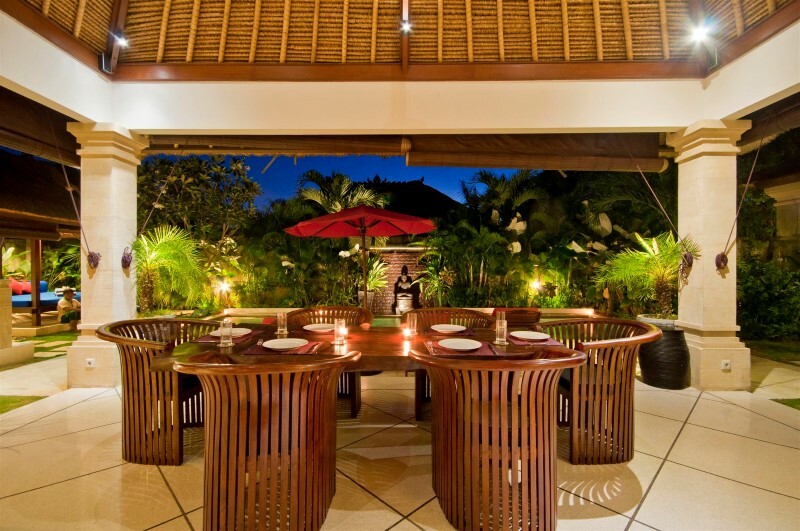 Enjoyed 5 nights in a really nice Villa in the heart of Seminyak. 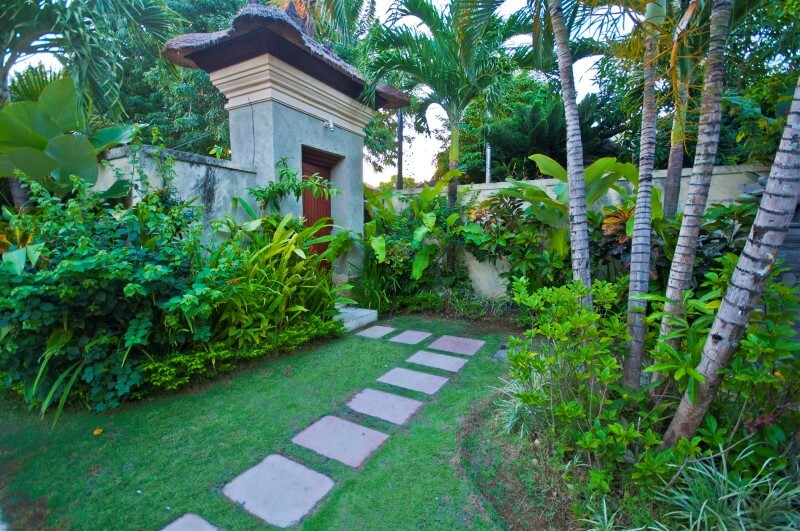 Walking distance to the shops, restaurants, spas as well as the Beach. 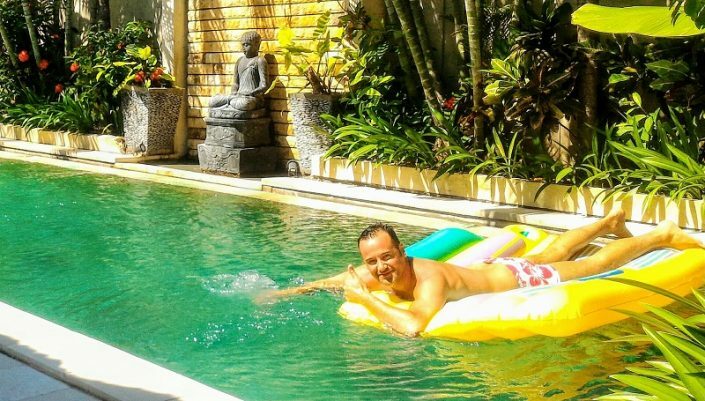 Lots of tourist and people wanting to sell their services, but I trust that is Bali these days! Very friendly and service minded staff. Defenitely worth a visit. 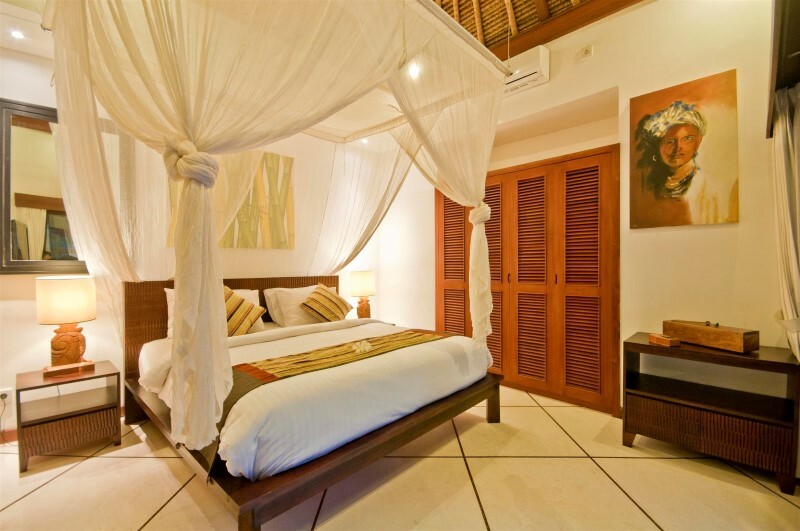 Attached to the single-story main building, either side, are two beautifully furnished bedrooms. 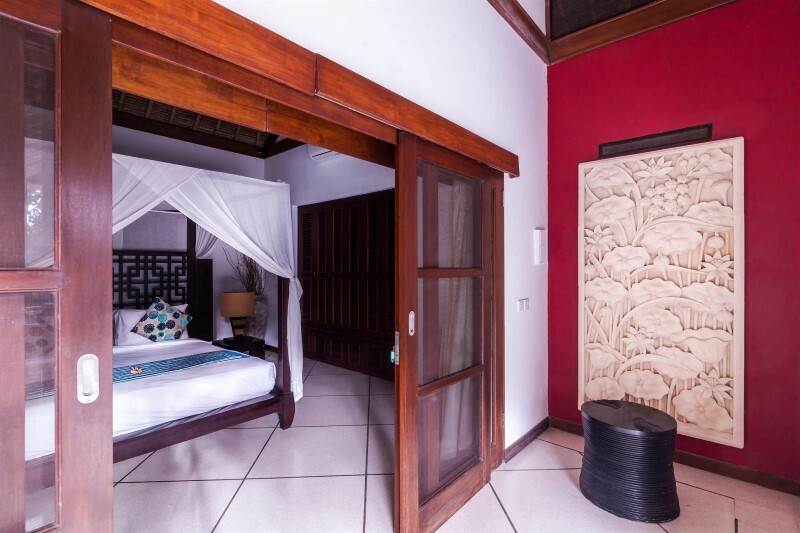 The third bedroom, also beautifully furnished, is located in a guesthouse next to the pool also with a King sized bed, but this bed is also convertible to 2 x large single beds. 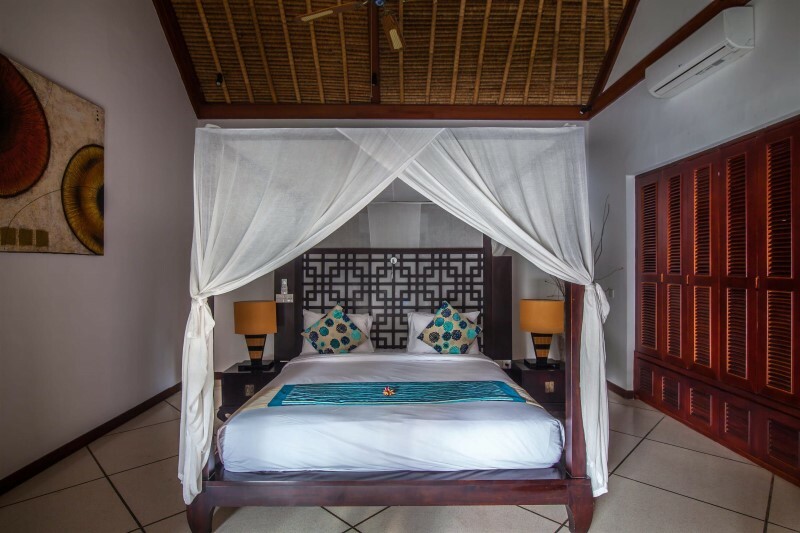 All of the bedrooms are air-conditioned, as well as having ceiling fans, a huge king sized bed, TV/DVD, spacious wardrobes with safety deposit box and en-suite bathroom with open air showers, fully supplied with hair drier, guest shampoo, conditioner, soaps and moisturiser. I am a regular visitor to Bali since 1994. 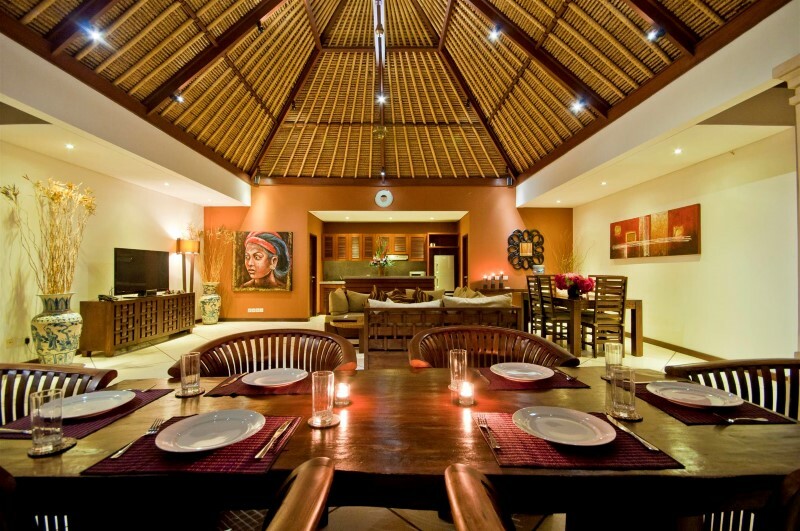 Have stayed at great places and now this elegant Villa is one of them. Price is right. 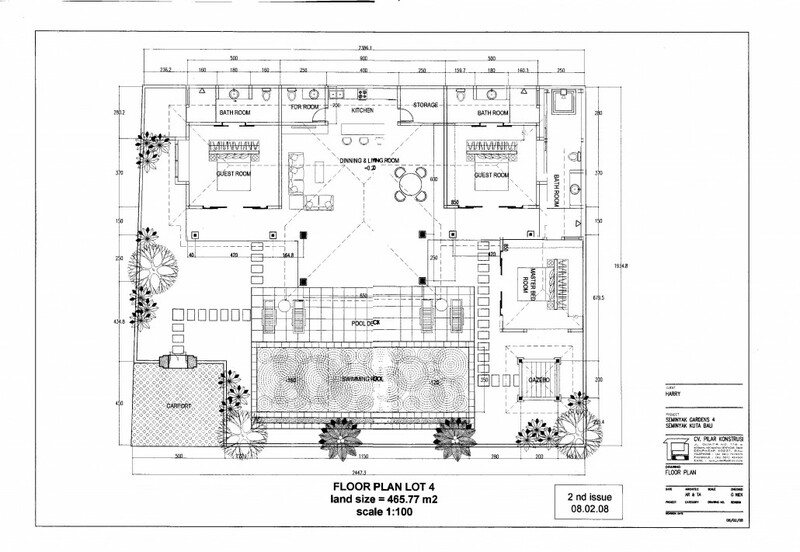 This is a symmetrical layout with good quality elements. This is minimum maximum and good for friends. Service is brisk and courteous, lot of highly experienced staff at call. Communication is very good and action is swift. My five nights fleeted past before I could realise. 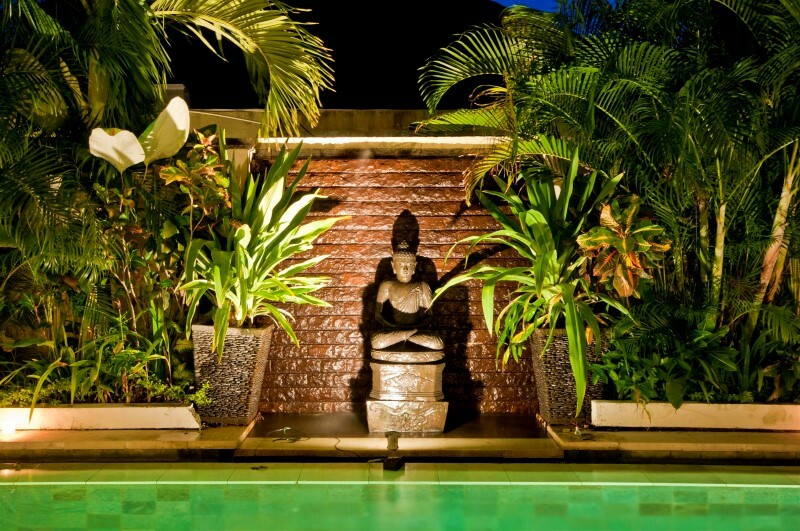 Pool is well kept, garden is very homely. Shall be back again and definitely recommend to my friends. 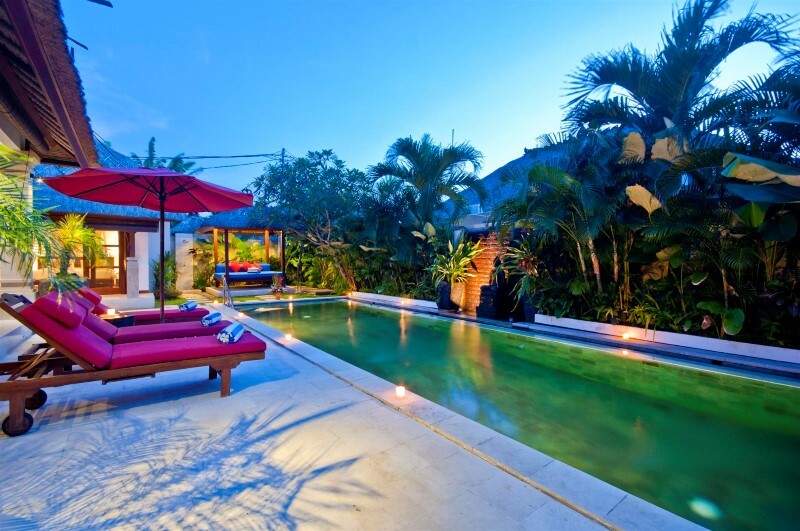 2nd time we have used Villa Bugis for our Bali holidays and cant recommend them enough. 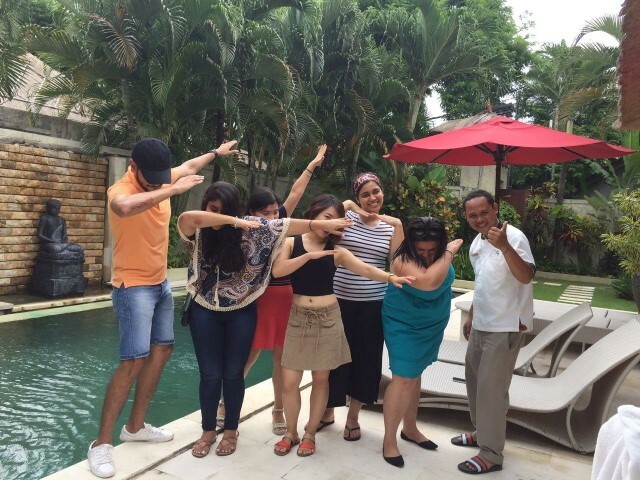 This time we stayed in Villa Kebun which was simply amazing. 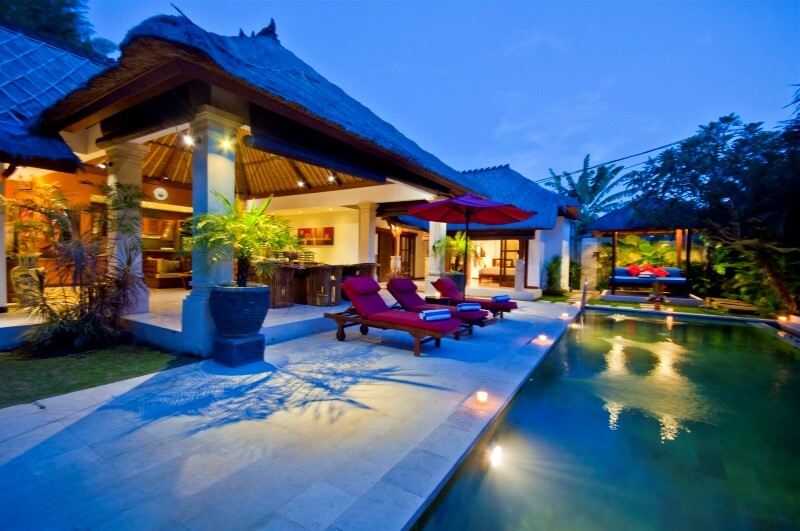 Large villa with huge pool and beautiful grounds. Staff are amazing. Best thing is the location. 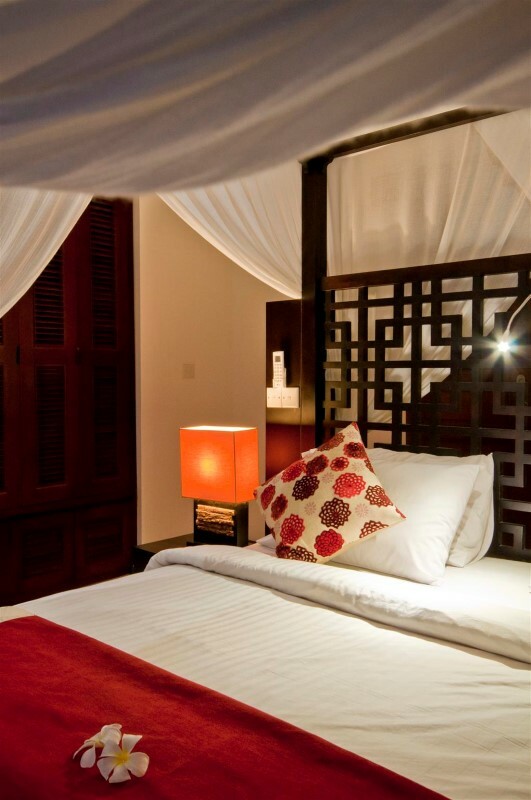 5 minutes to beach, 5 minutes to Camplung Tanduk and 10 minutes to Bintang Shopping Centre. 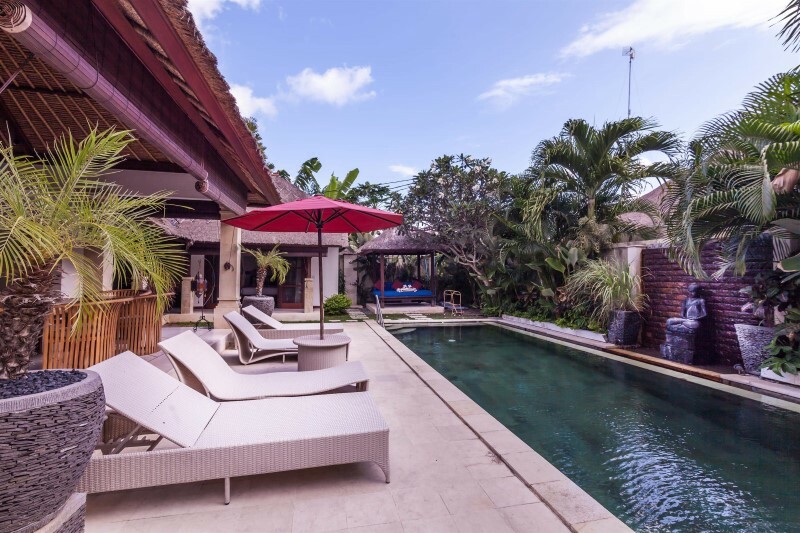 Villa Olive is in a good location and offers a place to relax and unwind. 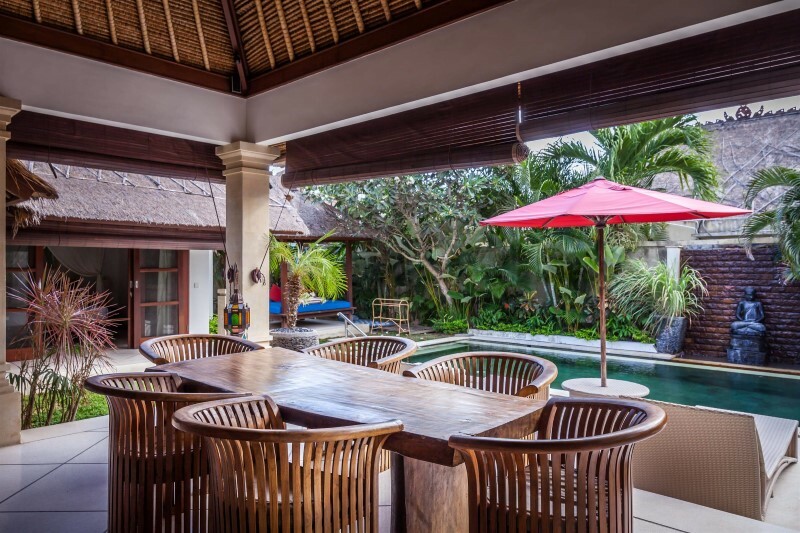 The villa was clean and well prepared when we arrived, the staff were very attentive and provided great services throughout the week. 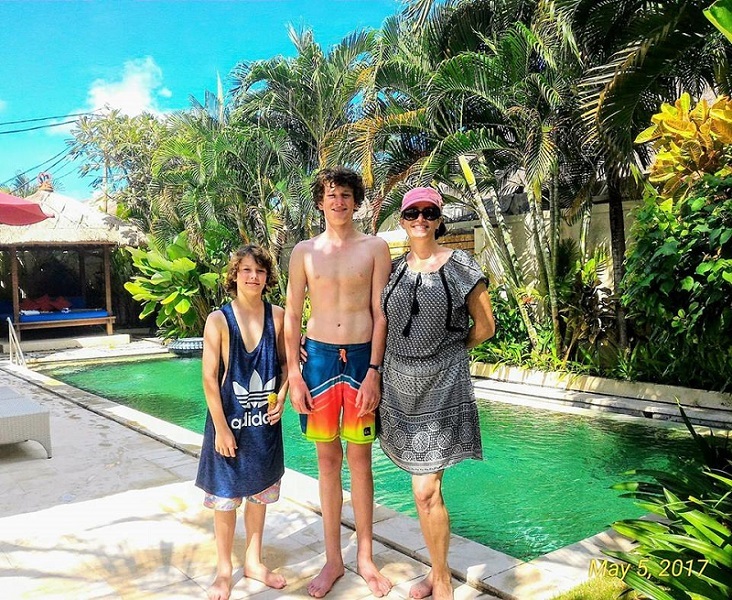 The garden and pool area are beautiful and it was always good to be able to come back to the villa for a swim and a cool drink after the day’s activities. 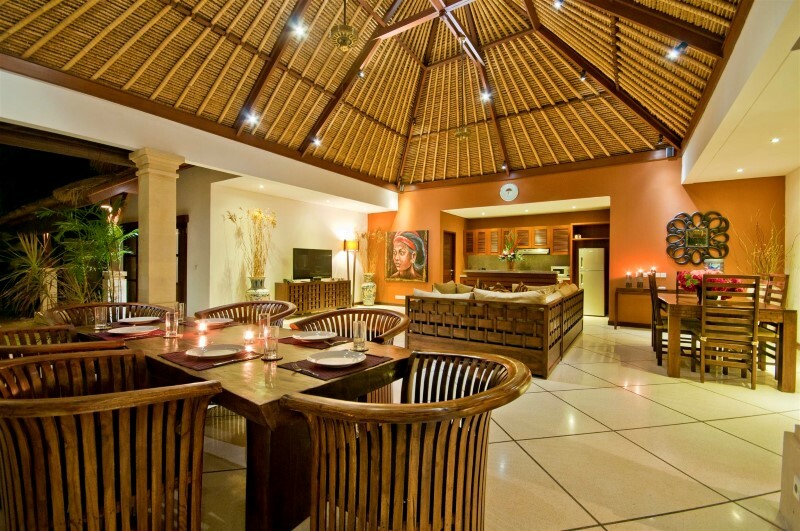 The rooms are spacious and the daily breakfasts were very tasty. The Bintang Supermarket is very close for picking up supplies as well as arranging transport. Good restaurants are also relatively close. 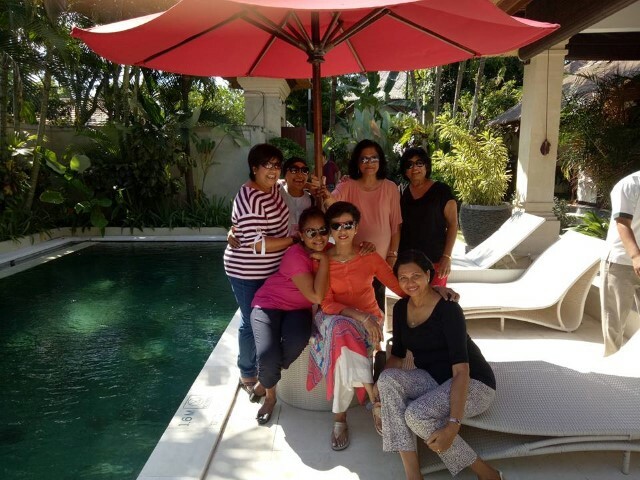 Our group of six enjoyed their stay at Villa Olive. Great location near shops and restaurants and easy walk to the beach. 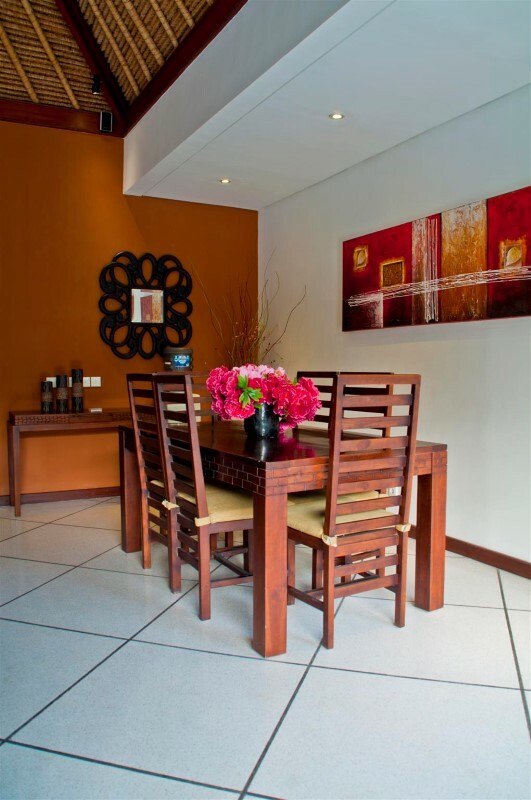 Accommodation excellent as well as the staff always very helpful. 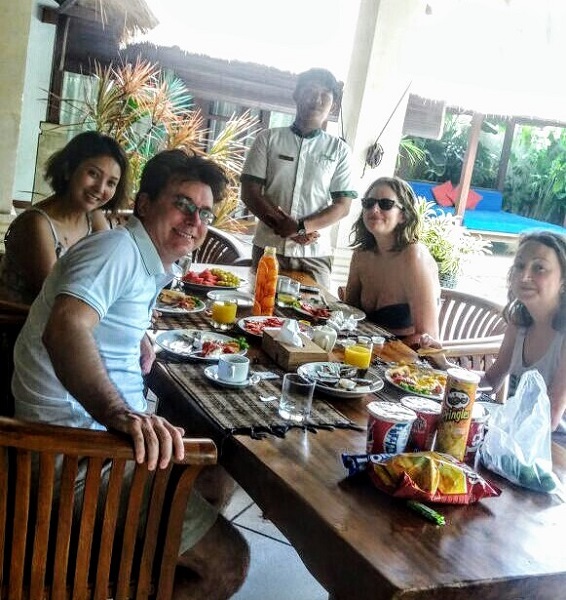 Breakfast ready for us each morning and had a wonderful seafood BBQ cooked by the staff. 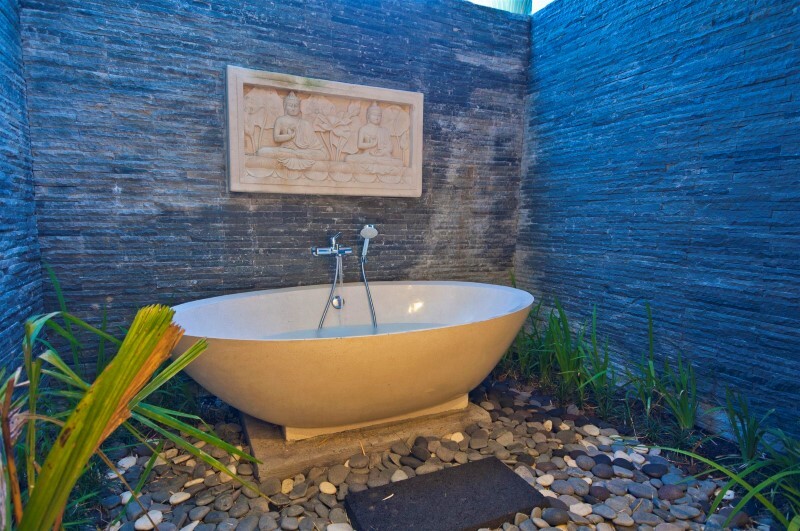 It was also great having your own pool and bedrooms with ensuites. Amazing. We had a great family holiday and will be back again. Thank you. 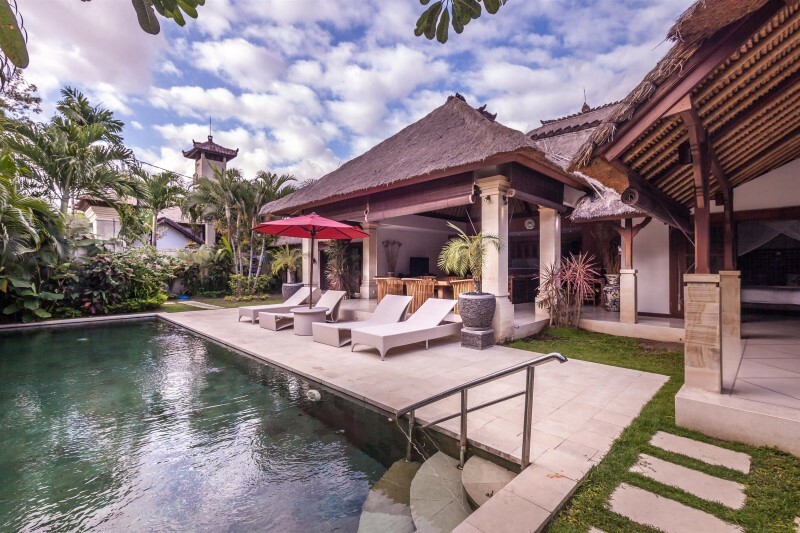 I loved the Balinese touch to this villa and enjoyed everything about it. The staff were awesome and helped with anything and everything. The BBQ cooked in the villa is a must as it was the best food we had our entire trip! 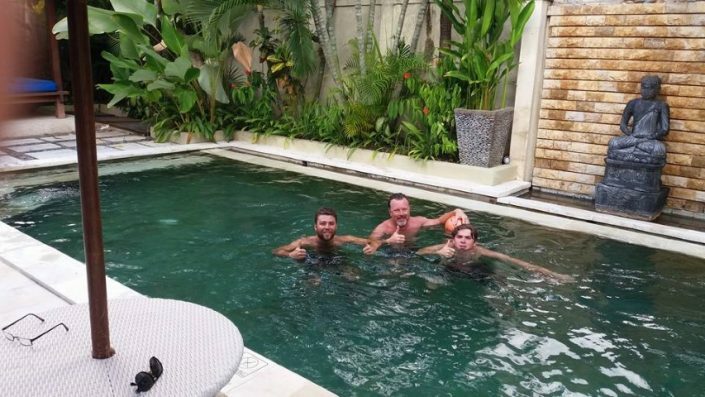 cant fault this place as everything was just PERFECT! As this is our second time back we were as always pleased to find our transfer awaiting us with a friendly smile and a cool clean transfer vehicle not to mention the warm welcome. The villa as previously was wonderful. Clean very big and the staff are amazing with nothing too much to ask. 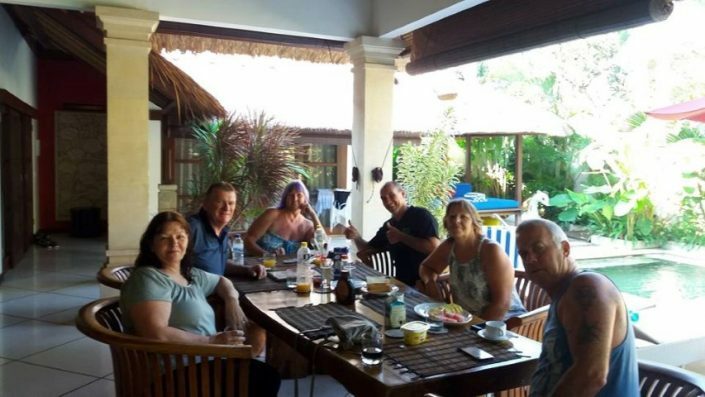 The only small gripe I may have is that the breakfasts included quality and variety had slipped with a Continental breakfast only being eggs on toast and the Indonesian breakfast was not anywhere near as good as our last visit but all in all I would highly recommend a stay here especially for the price the size of the villa and the location is fantastic. 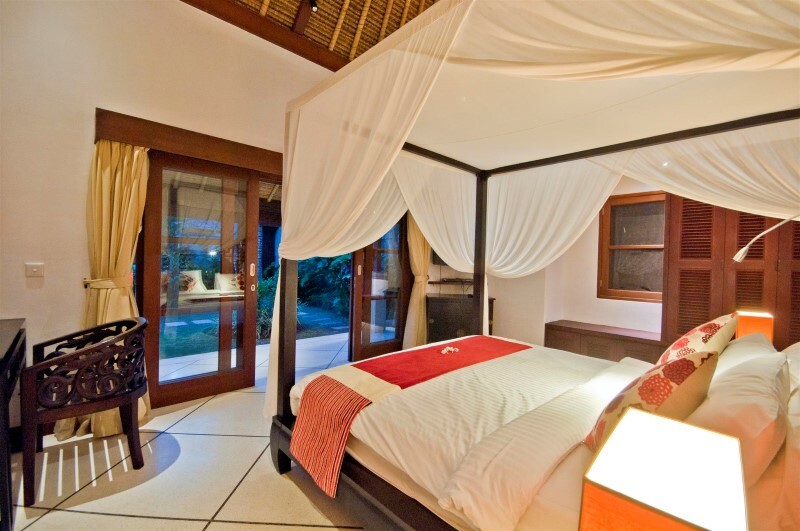 You will not find a villa more quiet or peaceful that villa olive. 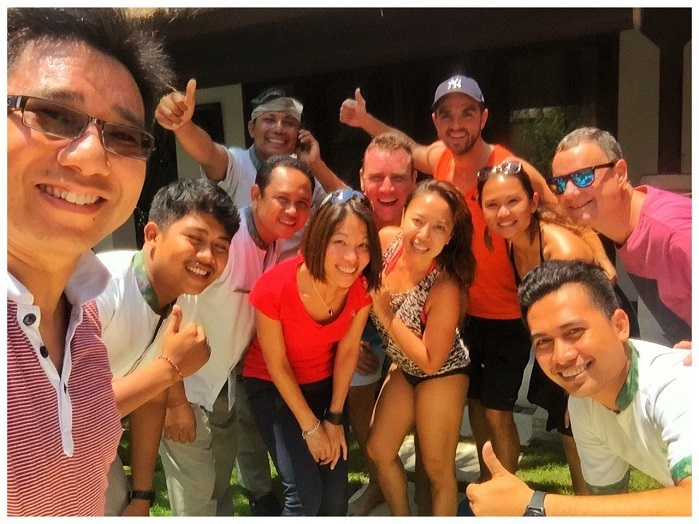 Thank you again villa bugis staff for a fantastic time. 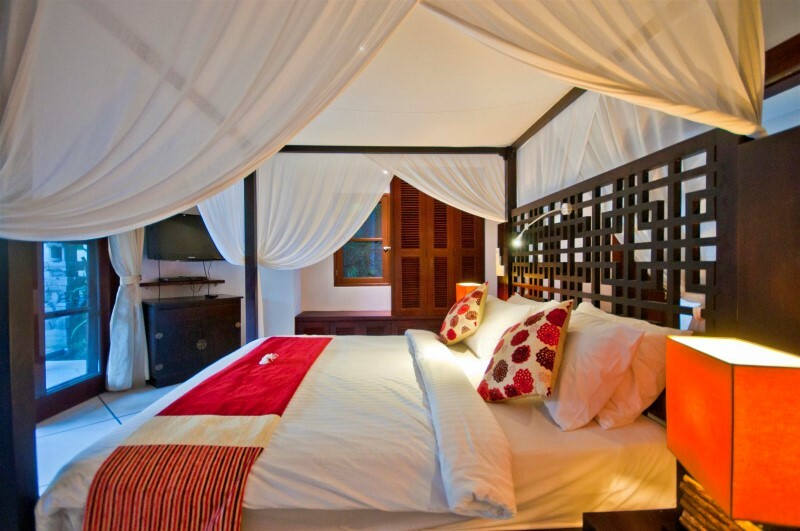 From the momenbt we enquired about the Villa to the day we left every thing was great!! 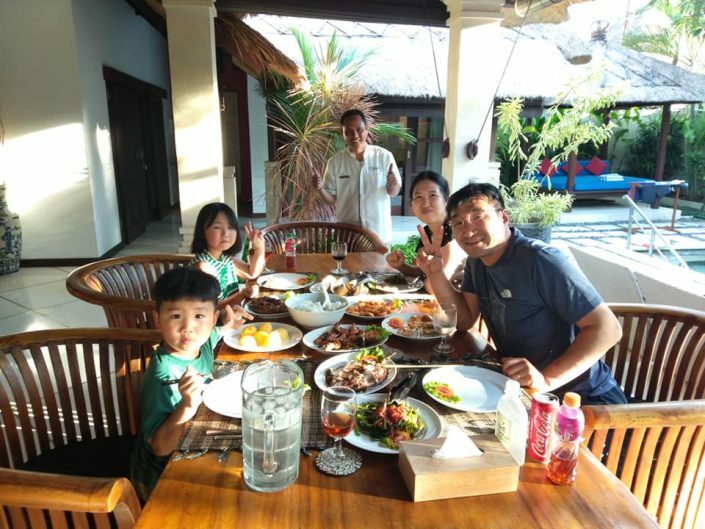 We really enjoyed our time Villa Olive. Great staff that were happy to help out when required. Having breakfast made every morning is so nice. The Villa is off the main street but still close enough to walk there. Having security made us fell very safe. Overall we had a lovely time at Villa Olive! We stayed in Villa Olive from 17th June to 24th June. It was really a awesome stay. 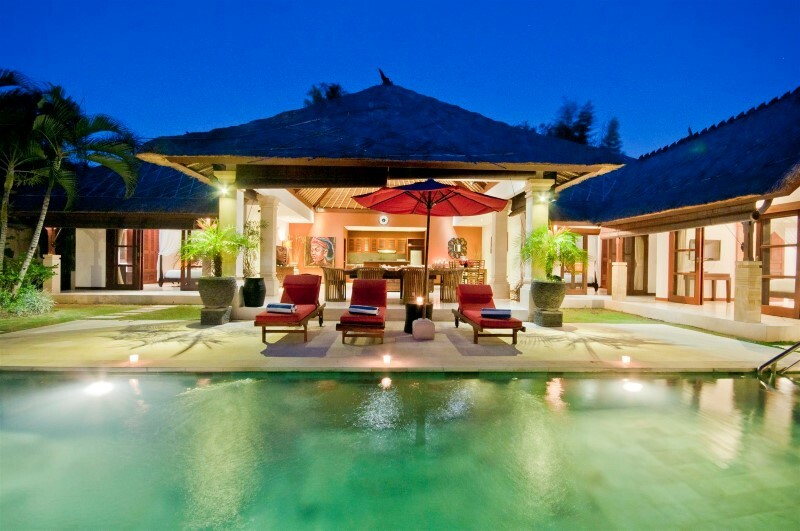 We have taken 2 villas as we were a large group. To start with the villa itself it was so well maintained. 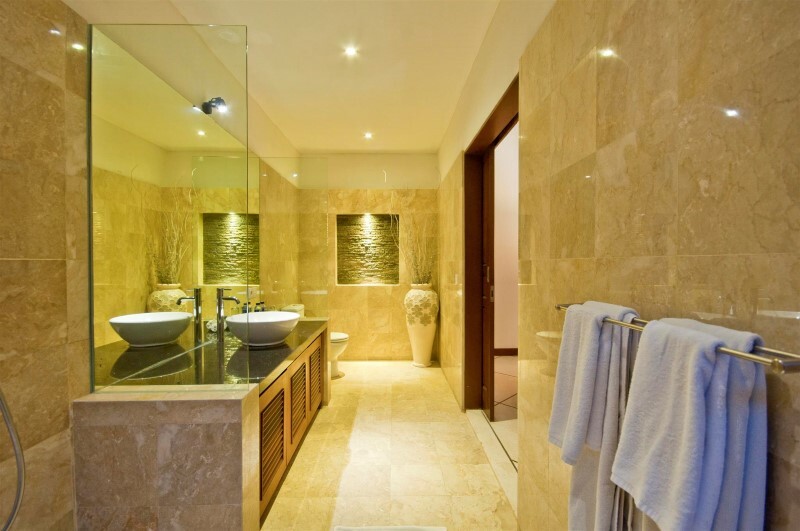 It was a 3 bedroom villa and all the rooms were very good special mention will go for their bathrooms which were amazing. Villa staff was very courtesies. Security at Villa campus was fool proof with guards cctv etc. Our group was vegetarian and they tried their level best to accommodate and gave us vegetarian breakfast. Kitchenette was well equipped due to which we enjoyed cooking. 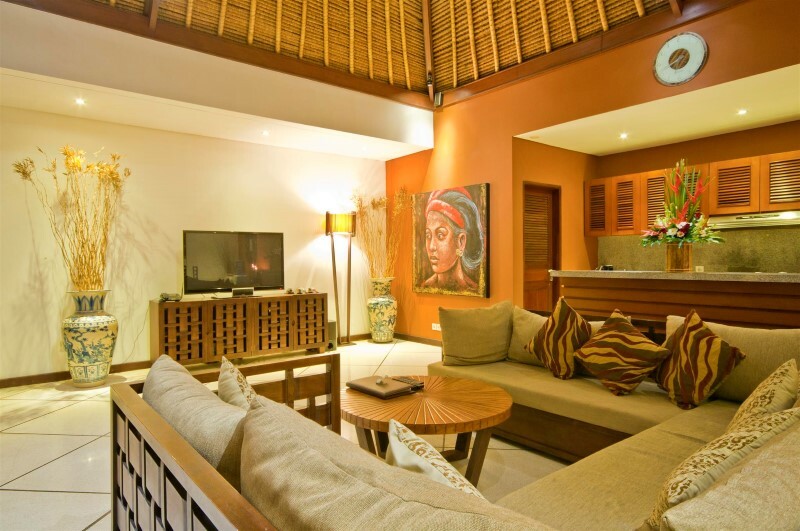 Living room and swimming pool area was also very well maintained. 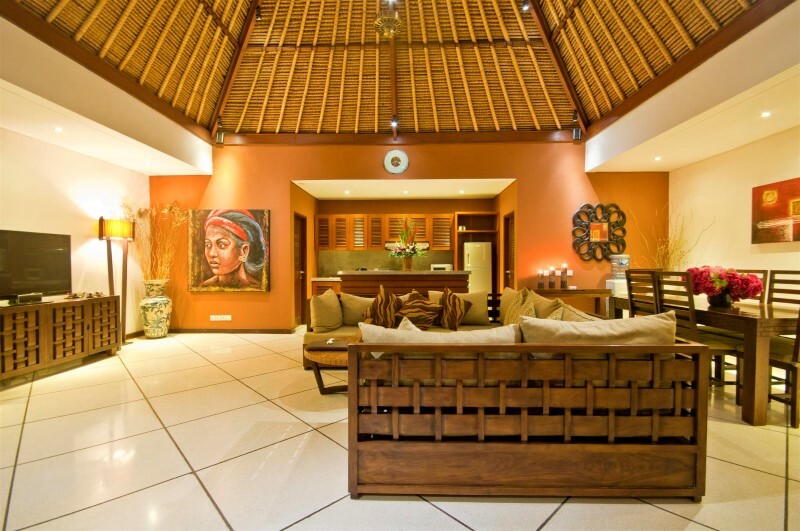 No doubt if we happen to visit Bali again Villa Bugis will be our default choice. 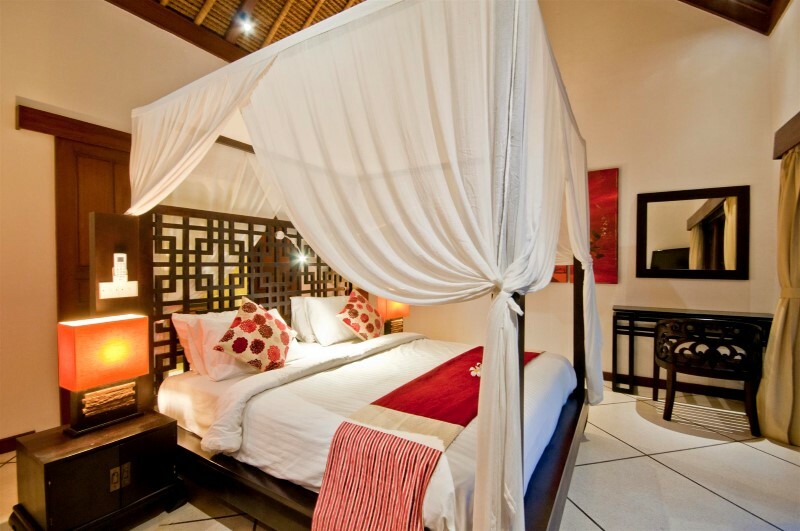 We were 3 couples staying at Villa Olive and all of us just had the best time. 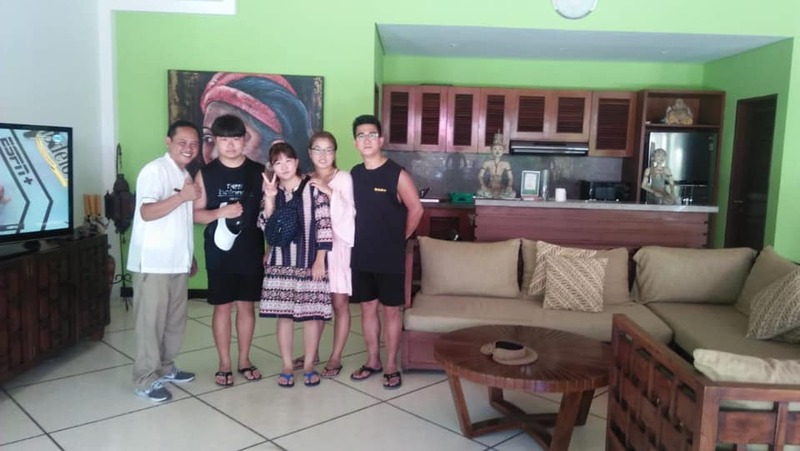 Villa was well kept for cleanliness, the staff were very accommodating to our needs (even coming earlier to make our breakfast with short notice). Beds were amazingly comfortable. 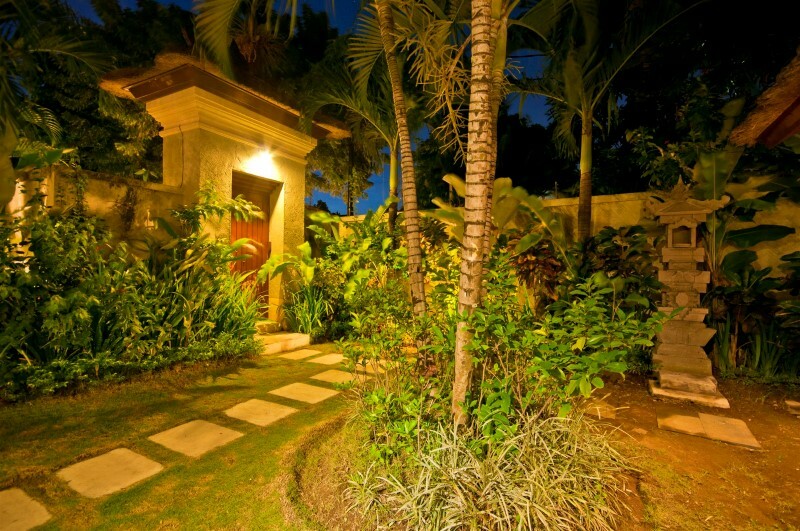 Villa is short walking distance to restaurants and shops and a 10min walk to The beach. I cannot fault our stay other than maybe some more mosquito protection is needed – a couple of us have come down with dengue. 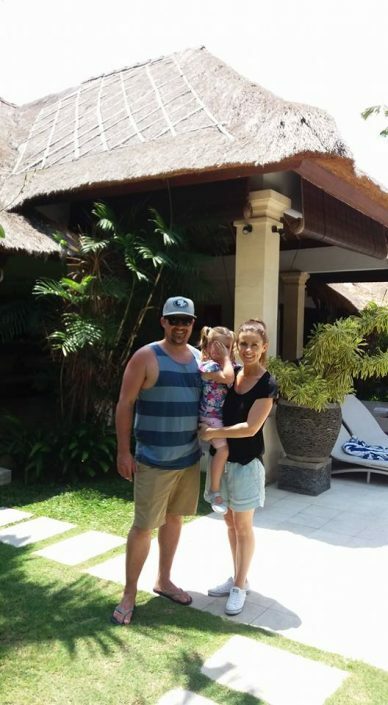 Thanks Villa Olive for giving us an amazing holiday!!! great spot, staff are fantastic, will do just about anything for you, friendly and polite. 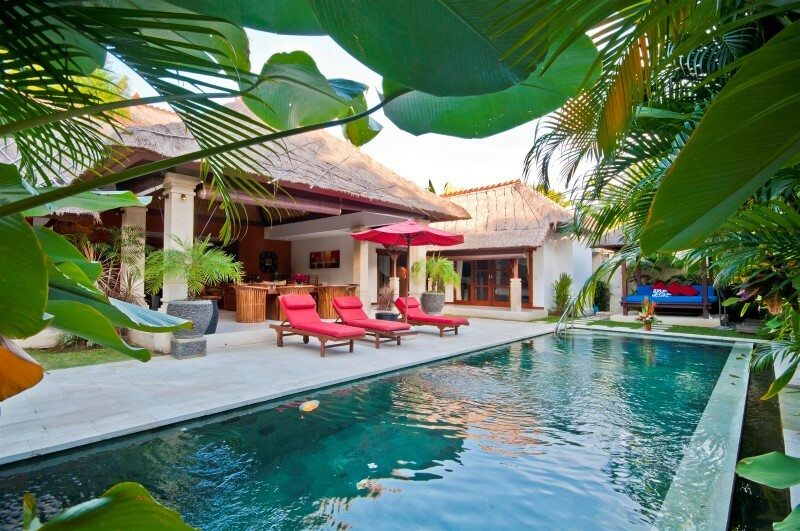 we have stayed in every villa but one in this complex and love all of them. 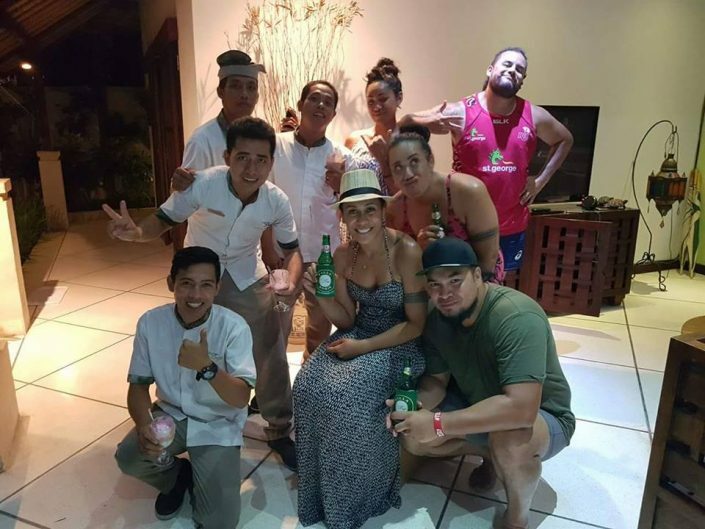 the staff are always well presented and even with any language barrier are always keen to help. everything is within walking distance or scooter if you are really in relax mode and don’t want to walk. 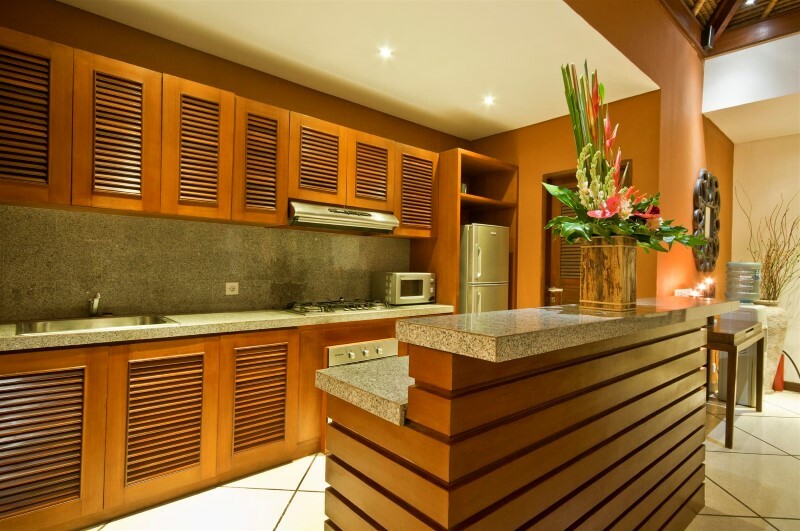 A bigger fridge would be better, but all the villas seem to have small fridges. Maybe an esky for the drinks would be good. thanks for you comments will arrange new fridge to keep that Bintang icy cold only way to have them . 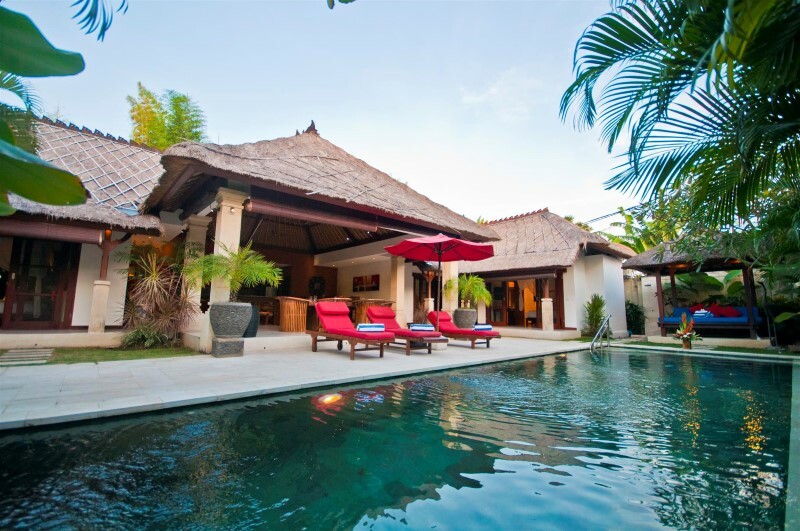 Staying at villa bugis villas was an absolute joy. Extremely impressed with the staff. Especially Kadek! 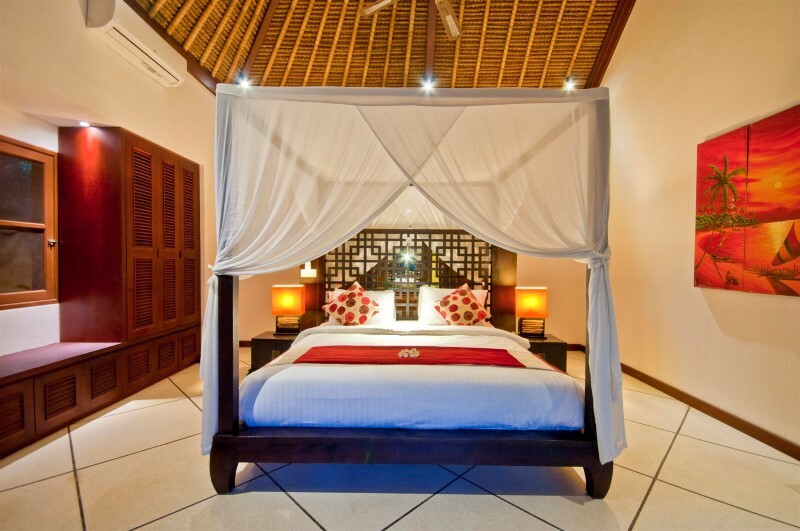 We cant wait to return for our third trip staying at the villa bugis villas. 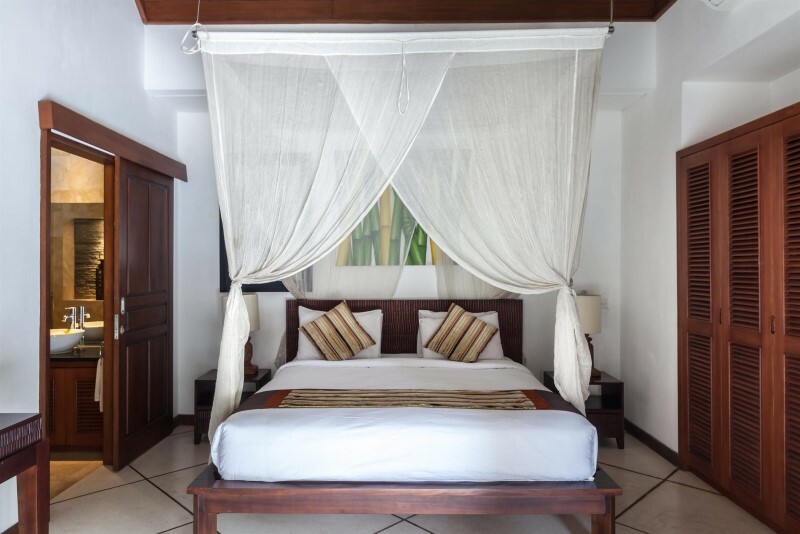 My only gripe is the mosquitos were out of control but that is out of the villas control (although perhaps some industrial mozzie killers could be an option to kill off the local population) beautiful friendly staff and security who were always really sweet and helpful. See you next year! 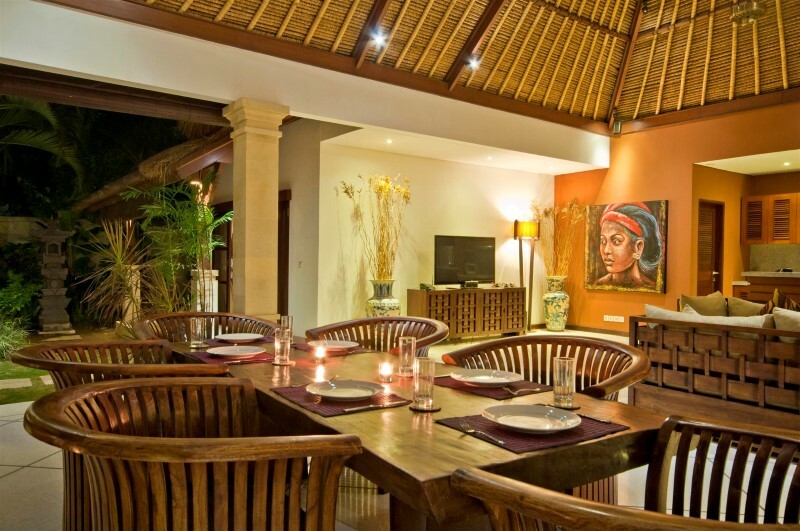 Our stay in Villa Olive has been the best stay we have ever had in any villas in Bali. 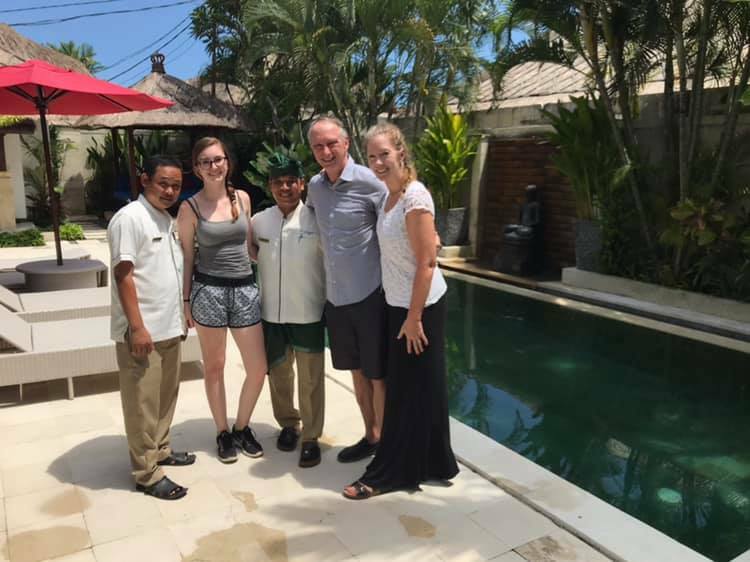 The staff are first rate professionals, the care taken with our villa and us by the staff is superb. 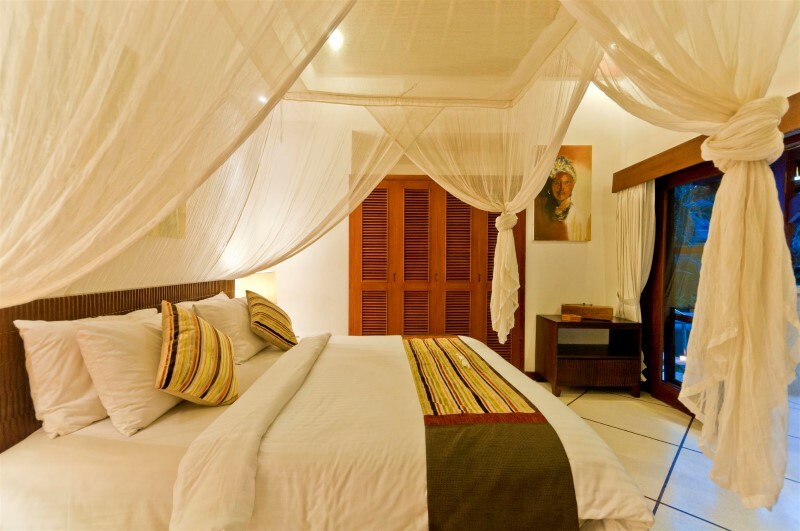 We will again be staying at Villa Olive. Kadek, Kadek, Komang, Komang are the best staff I have ever encountered. 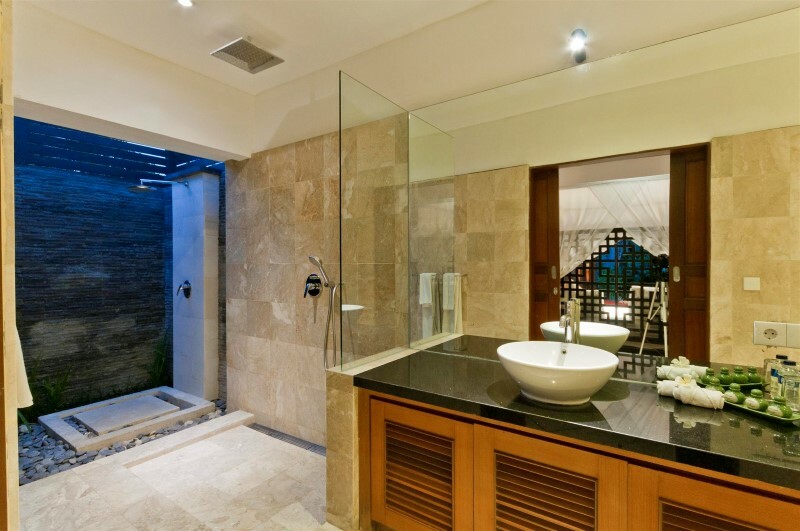 Everything in the Villa is perfect. 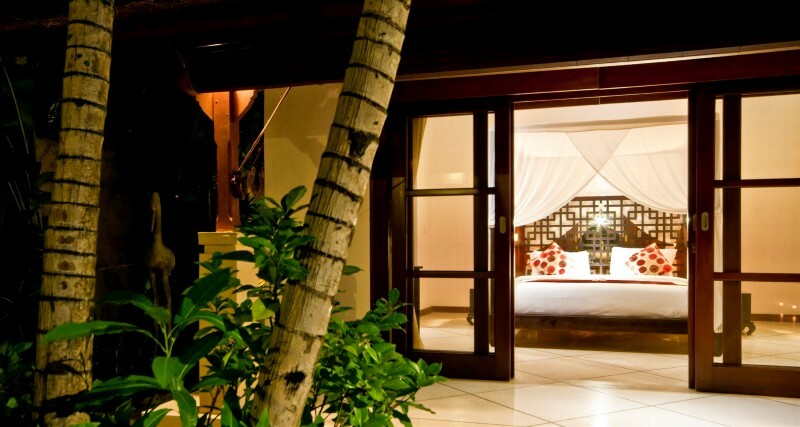 We look forward to staying with you again early next year – 2013. 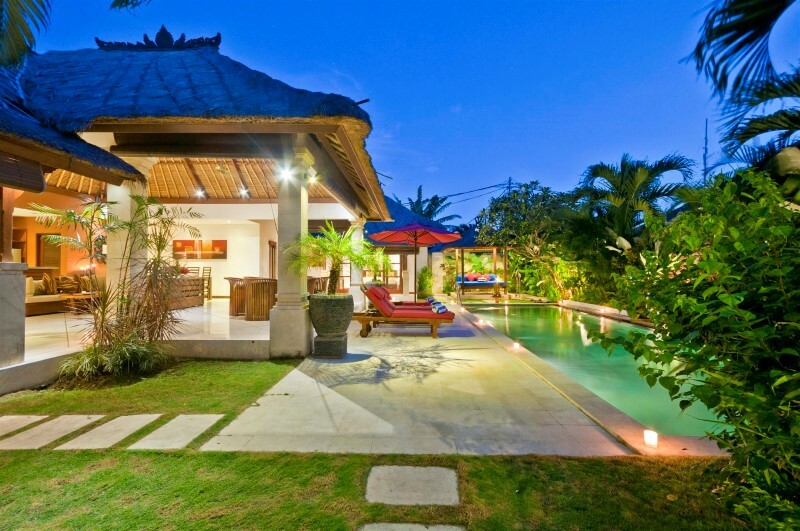 Villa Olive will now be our second home in Bali.